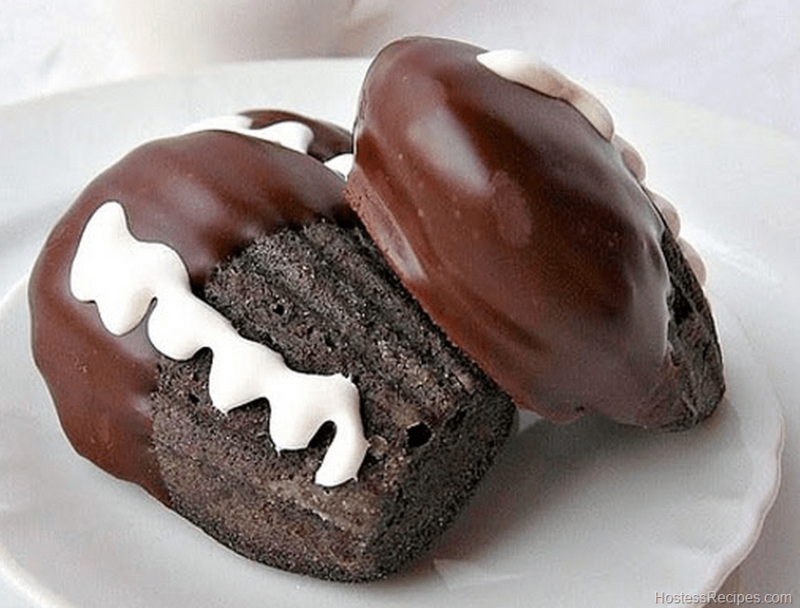 So you have a hankering for a soft, chocolaty cream filled cupcake but you’re feeling a little “sideways” today? 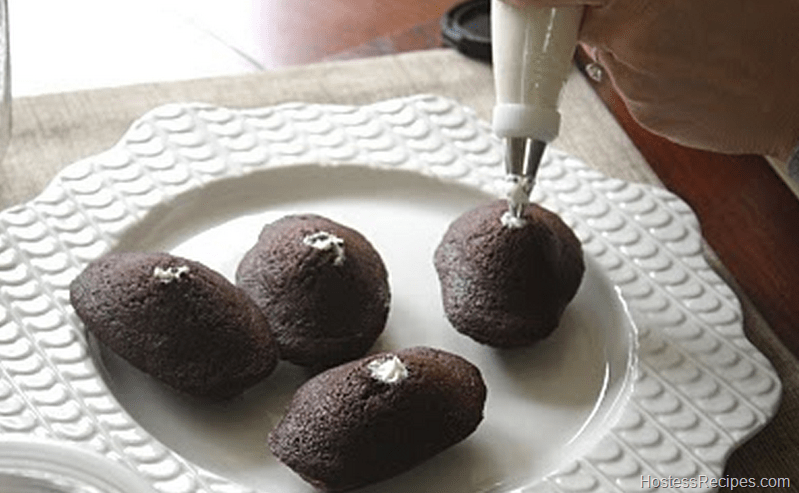 Than this copycat Hostess Cupcake variation is just the treat for you! 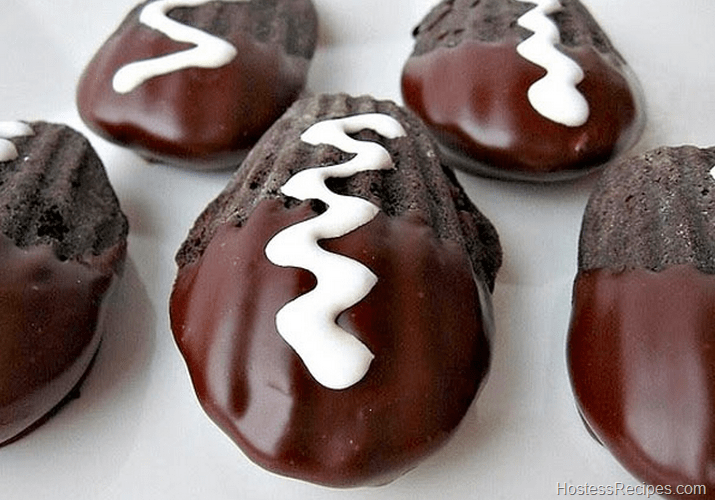 Madeleines are one of the desserts that look just as good as they taste. Being known for their soft cake like texture, they originally hail from France and are notorious for their shell-shaped exterior. Traditional recipes call for ground nuts, almonds or even variations of lemon zest for a pronounced lemony taste. However, like most of the things we get our hands on, there are always modern twists on classic favorites. This week it’s my turn (!!!) 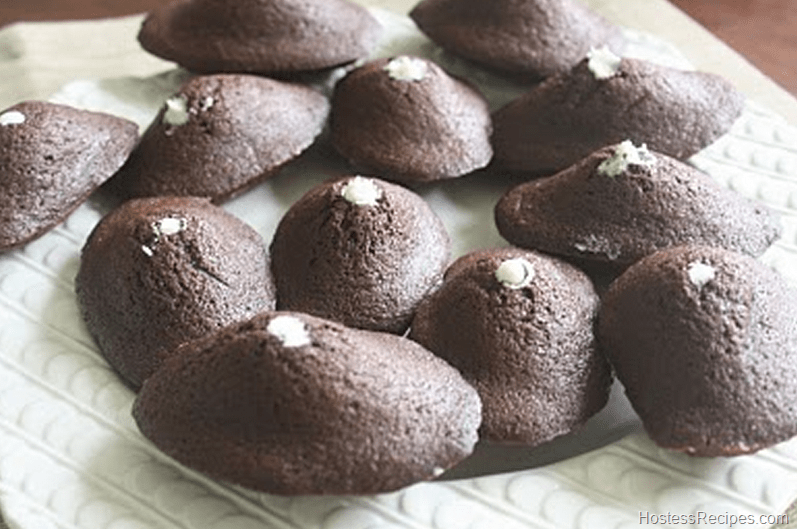 to select the Tuesdays With Dorie recipe and I think I managed to choose the only recipe in the book that involves marshmallow crème, Fluff-Filled Chocolate Madeleines. I bought some madeleine pans around the same time I bought Baking (guess which I’ve used more often? ), so this is one of the first recipes I put on my “to-make” list and I’m glad that it was still available when it was my turn to host. I must confess that when I was a teenager, my stepsister and I used to eat marshmallow fluff straight from the jar and I still love the stuff. I think this is a slightly more dignified way to eat it. Josh thought it was nice that I made something that looked like a football the weekend of the play-offs. Though I haven’t used the pans very often, I’ve noticed that some madeleine recipes call for the batter to be chilled before baking and some do not. Dorie explains that chilling the batter increases your chance of the madeleines having their characteristic hump. It always is a good way to separate the work of a recipe over the course of two days, which I am a fan of. After an overnight chill, this batter was very thick and baked up huge madeleines! One culinary skill I can use some work at is piping, I am always kind of a mess with a piping bag. I wasn’t able to get as much fluff in the madeleines as I would have liked. Maybe I’m just a glutton, but if anyone has suggestions for getting more filling in madeleines or cupcakes, I would be happy to hear them. 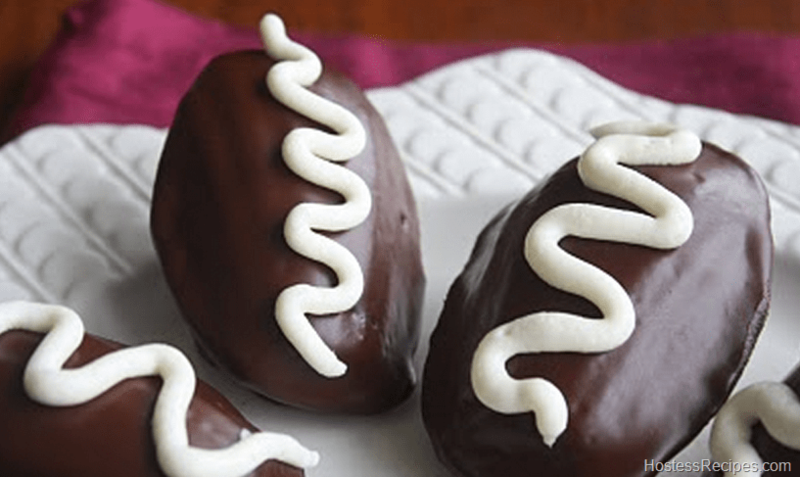 I am not complaining about the chocolatiness of this recipe, though! Alone, the madeleines may have been good, but a bit ordinary; however, coated in chocolate ganache they are absolutely fantastic! 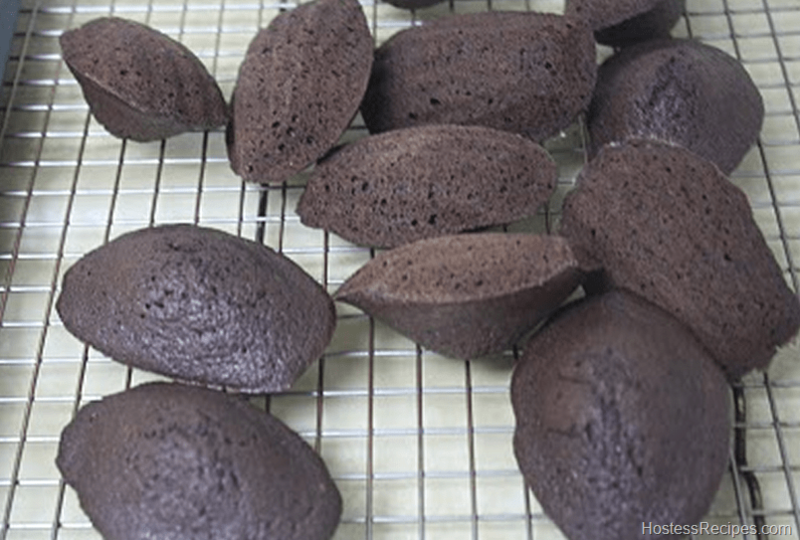 To make the Madeleines: Sift the flour, cocoa, baking powder and salt together. 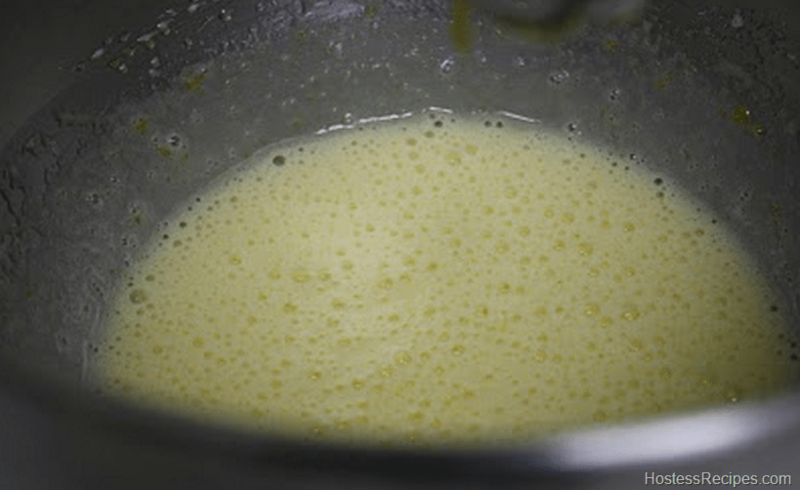 Working with a stand mixer in a large bowl, beat the eggs and sugar together until pale and slightly thickened, about 3 minutes. Beat in the vanilla extract, then switch to a rubber spatula and gently fold in the sifted dry ingredients, followed by the melted butter. 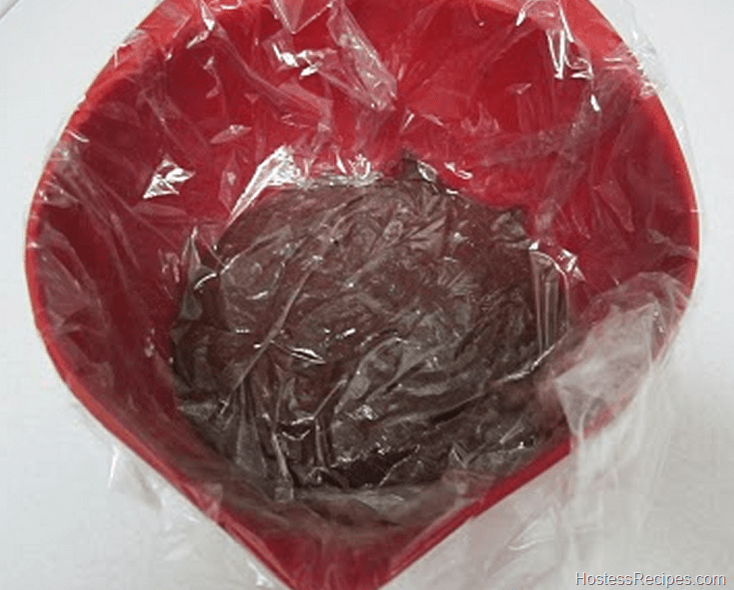 Put a piece of plastic wrap directly against the surface of the batter and refrigerate for at least 3 hours or up to 2 days. Chilling the batter gives you a better chance of getting the characteristic hump on the back of the cookies. Getting ready to bake: Center a rack in the oven and preheat the oven to 400 degrees F. Generously butter 12 full-size madeleine molds, dust the insides with flour, and tap out the excess. 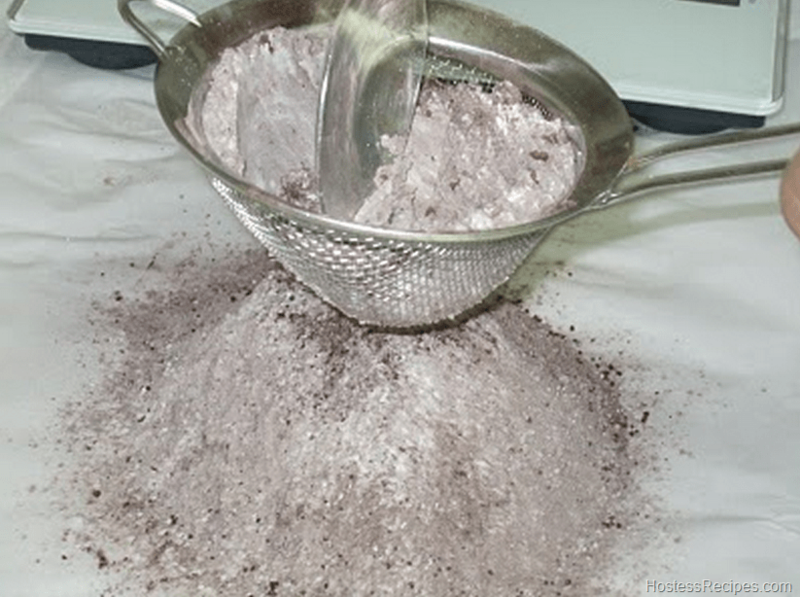 Butter and flour or spray the pan even if it is nonstick; skip this step if you are using a silicone pan. Place the pan on a baking sheet. 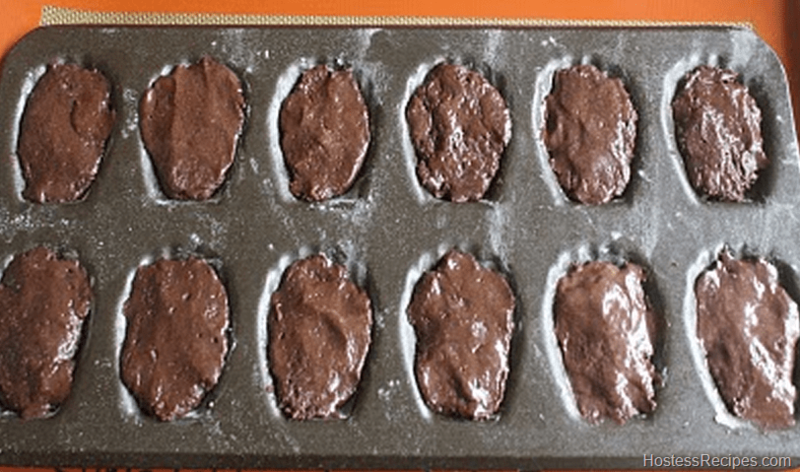 Spoon the batter into the molds. Place the pan in the oven and immediately lower the oven temperature to 350 degrees F. Bake the cookies for 13 to 15 minutes, or until they feel springy to the touch. Remove the pan from the oven and rap one side of the madeleine pan against the counter – the plump little cakes should come tumbling out. Gently pry any reluctant cookies out with your fingers or a butter knife. Cool to room temperature on a rack. To Make the Dip: Put the chocolate in a small deep heatproof bowl. Bring the heavy cream to a full boil, then pour it over the chocolate. 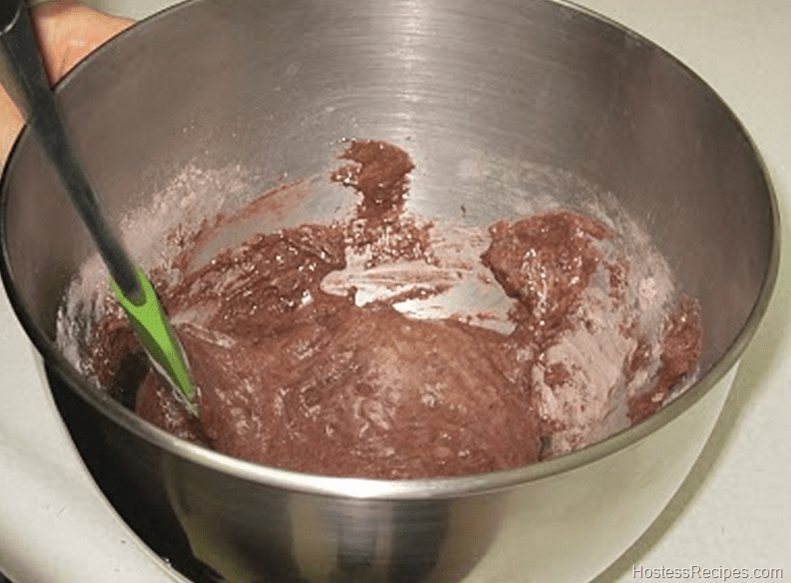 Wait for 1 minute, then gently whisk the cream into the chocolate: start at the center and slowly work your way out in concentric circles until you have a smooth, shiny mixture. Gently whisk in the butter.Line a small baking sheet with wax paper. 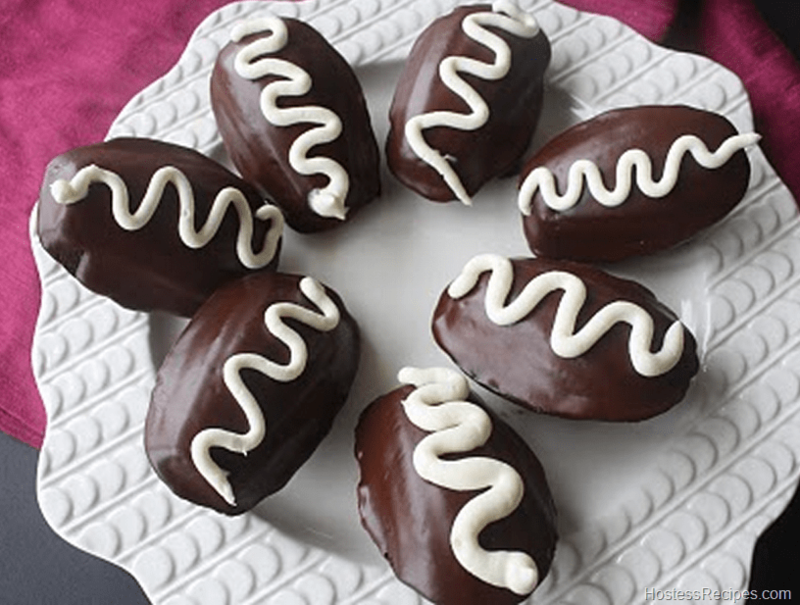 One by one, hold a madeleine at its narrow end and dip it into the chocolate, then lift it up, let the excess chocolate drip back into the bowl and place smooth side down on the wax paper. Slide the baking sheet into the refrigerator to set the glaze, about 15 minutes. (You’ll have more ganache than you need, but making a larger quantity produces a better ganache. The leftover dip can be covered and refrigerated for 1 week or frozen for up to 1 month.) If you’d like, pipe a squiggle of fluff on the top of each madelein once the chocolate is set. Makes 12 Cookies. Serving: Coffee or every variety, milk, and hot chocolate are all good companions.Storing: Although the batter can be kept in the refrigerator for a couple days, the madeleines should be eaten soon after they are made. However, wrapped airtight, they can be frozen – even after they’ve been filled and frosted – for up to 2 months. And stale madeleines, as Proust would be the first to tell you, are good for dunking. 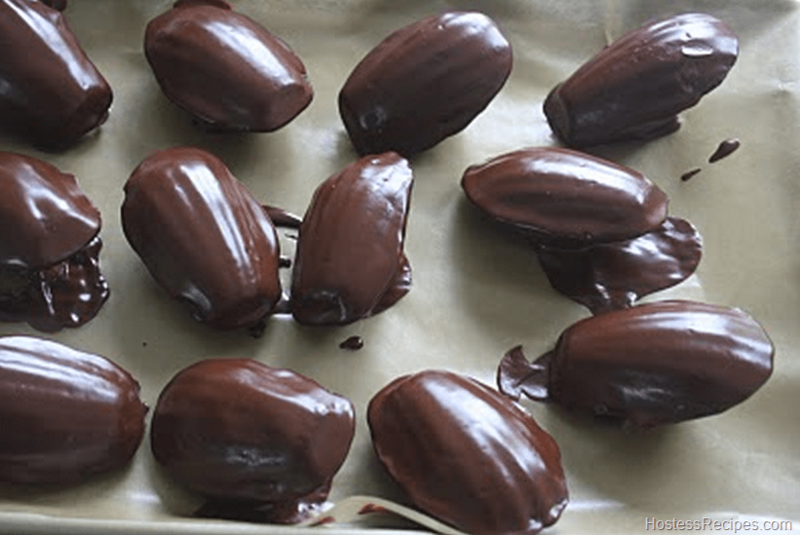 Playing Around: Use the same poke-and-pipe technique to fill the madeleines with raspberry jam, lemon curd – homemade (page 462) or store-bought – or Nutella.